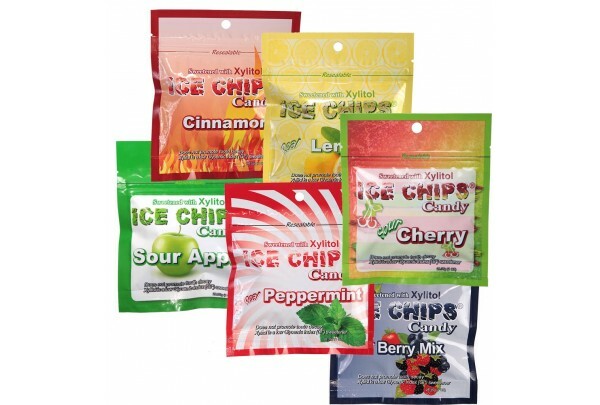 Why EVERYONE wants to eat ICE CHIPS Candy made with Xylitol EVERY DAY! 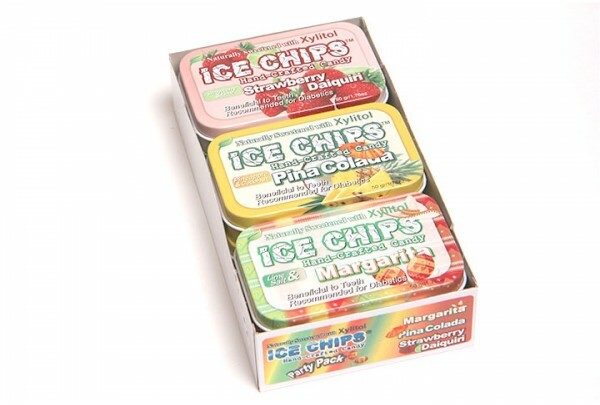 "So glad I found ICE CHIPS® ginger candies my pregnant wife and I are comfortable with!" "ICE CHIPS® shapes are great. 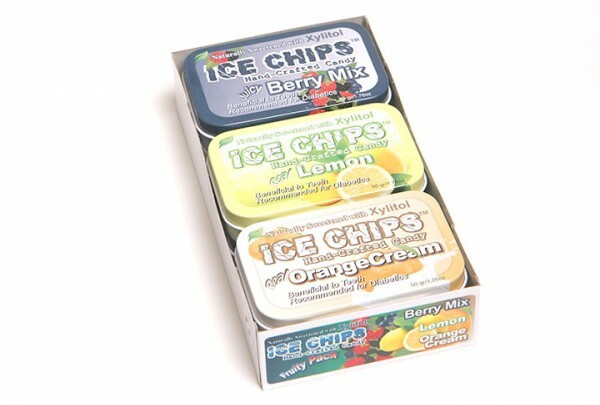 I love picking out my next chip..."
"My kids fell in love with ICE CHIPS®! My husband and I kept stealing some when the kids weren't looking." "My dentist has noticed marked improvement in the remineralization of my teeth. We're not 100% sure if it is due to the ICE CHIPS®, but surely they factor in..."
"ICE CHIPS® is the most awesome candy out there. I go through approximately 2 tins a week." 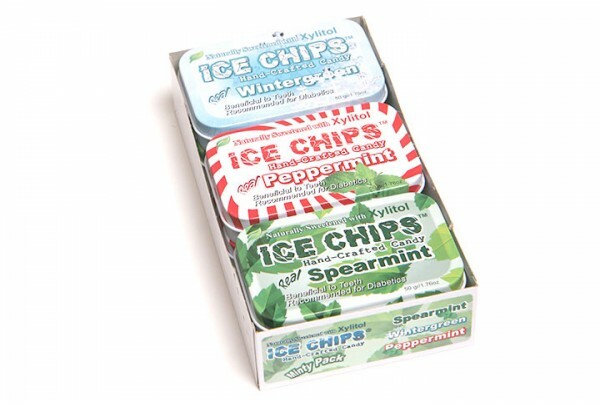 "The flavor of ICE CHIPS® candy is unreal. They are perfectly sweet -- just deicious!" 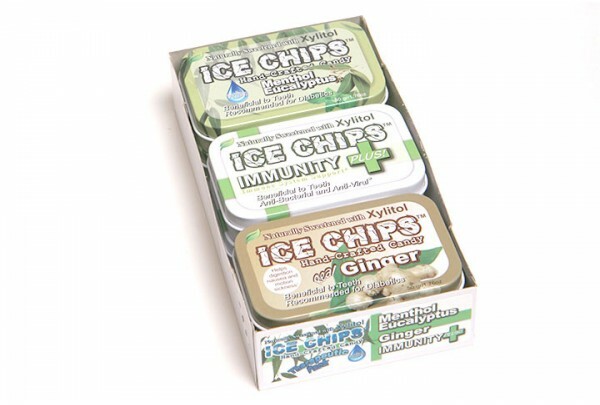 "I just discovered ICE CHIPS® at my Local Hy-Vee Store in Ames, Iowa. I will be getting some more tins for Stocking Stuffers." "Just fund ICE CHIPS® in our neighborhood. Sending hand-picked trays for Christmas presents this year. Know they will be a hit!" 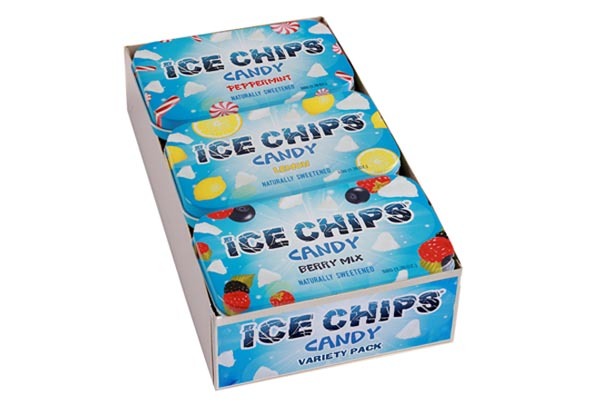 "ICE CHIPS® truly are the best candies ... cheap in calories and good for the teeth. My 'go to' candy for my sweet cravings!" Caution: Choking hazard for children under the age of 5. Toxic to dogs and small animals. Xylitol is an FDA approved natural sweetener. GMO FREE, NO CORN, SUGAR, SOY, WHEAT, GLUTEN, OR DAIRY! Copyright © 2019 Ice Chips Candy LLC.